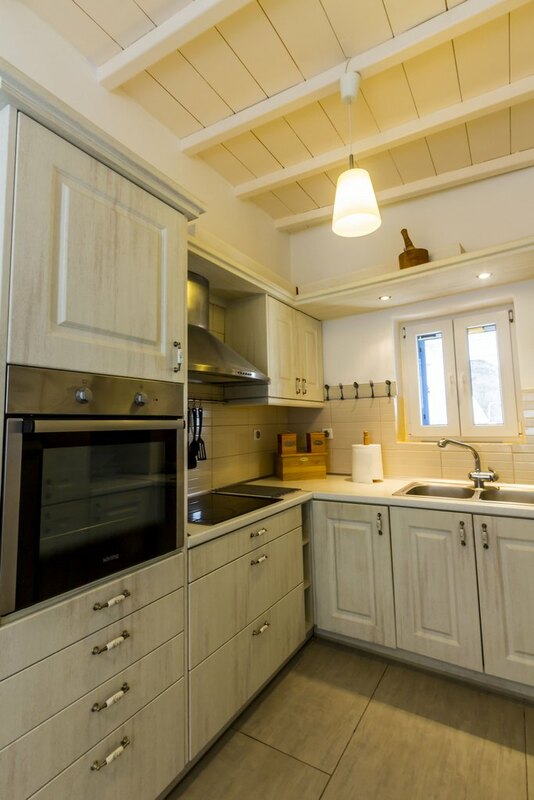 WELCOME TO GT OCEAN VILLA (CORFOS)! 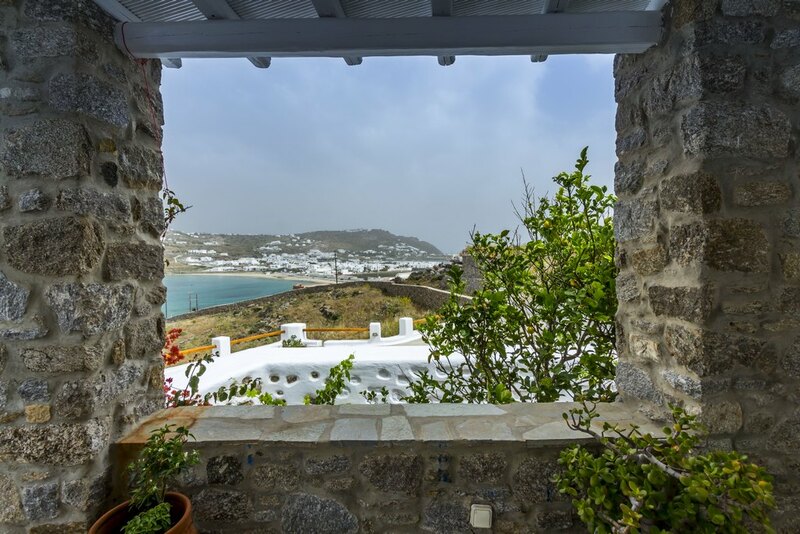 Poised on a hillside surveying the topaz Aegean Sea, GT Ocean Villa is an architecturally inspiring traditional Greek villa overlooking Corfos bay and Mykonos town. 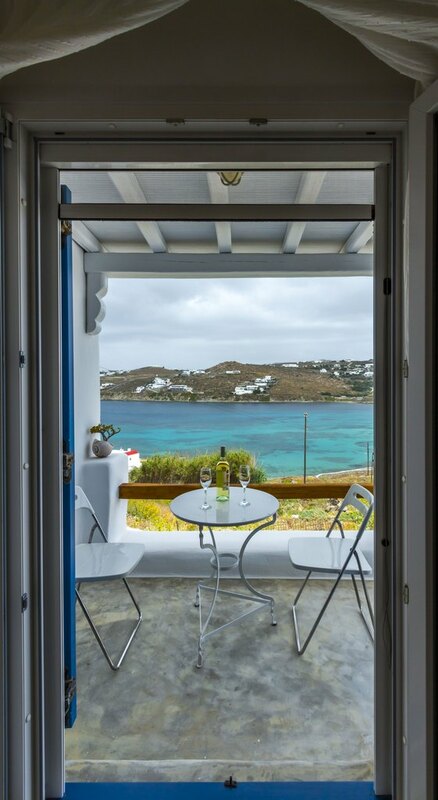 Generous outdoor areas and a high-quality interior finish lend it an air of laid-back luxury, blessed by breathtaking sea views. A separate entrance shields it from the road and there’s enclosed private parking. 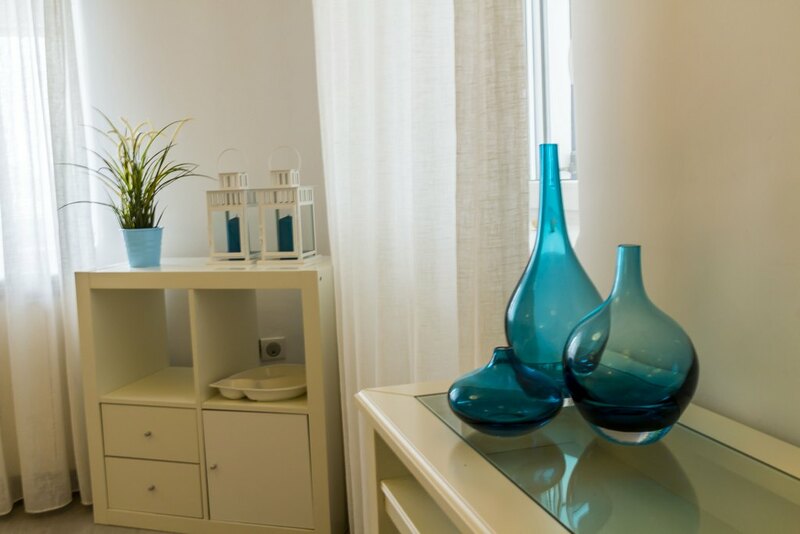 Stepping inside GT Ocean Villa, you’re immediately struck by its uncluttered simplicity. Modern furnishings are offset by some older pieces and the decor is tastefully subtle. 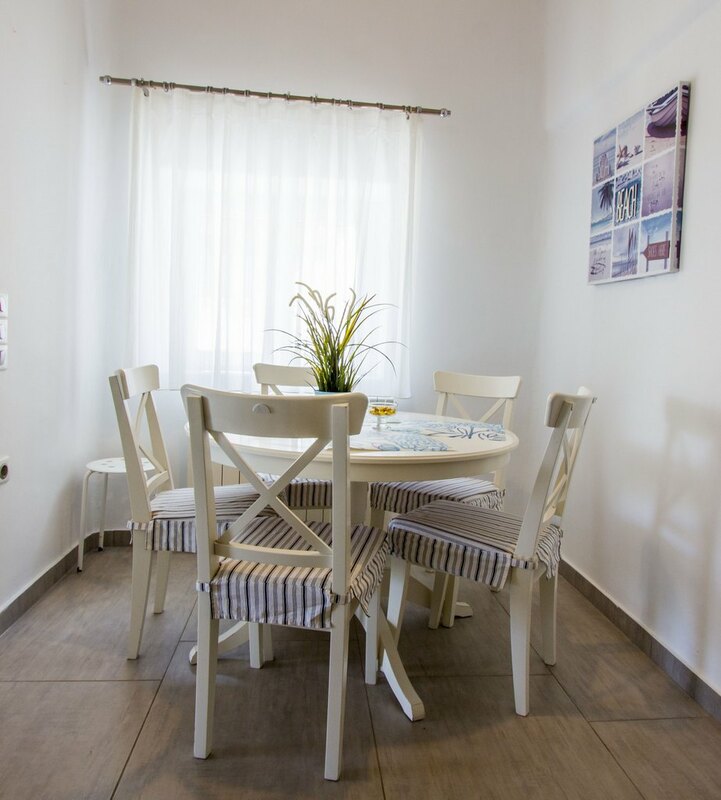 The main entrance leads to a bright and spacious open-plan living and dining area. Comfortably cushioned sofas invite you to take a break from the sun. 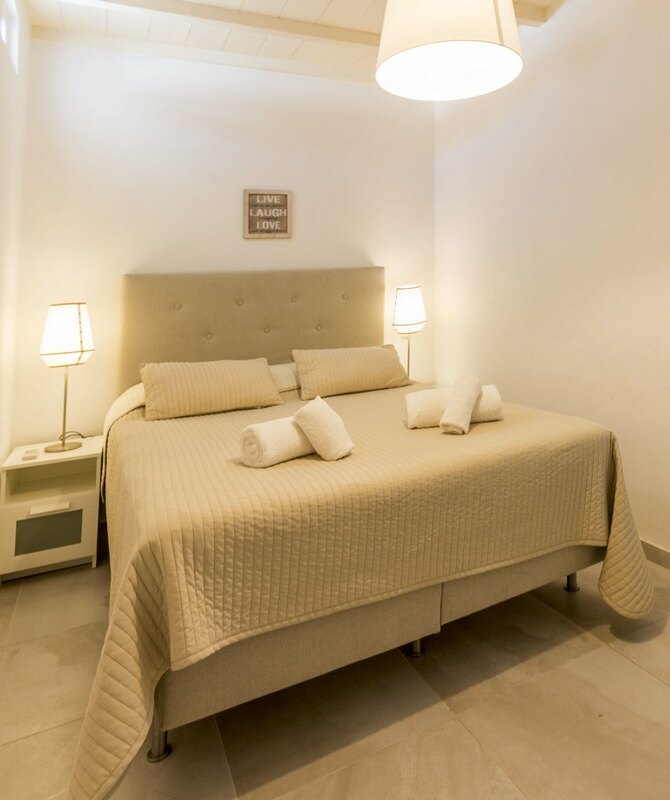 A flat-screen TV, sound system and high-speed wireless internet access makes it easy to stay in touch with the world. 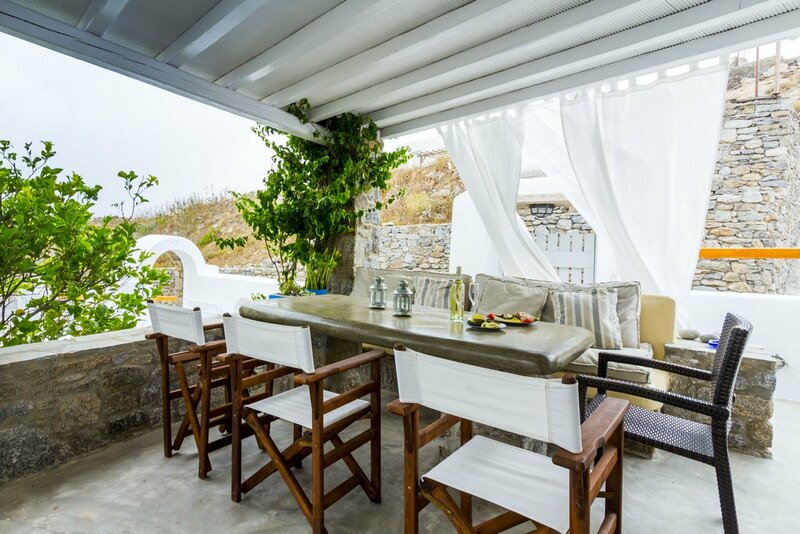 Fix yourself a cool drink or snack in the fully equipped kitchen and enjoy a rare tranquility, far from the loud music and masses of people overtaking Mykonos island. Curvaceous sun loungers beckon you to take your place in the sun. A well-stocked garden borders the villa and welcome shade can be found under the pergola, where you can cluster with friends for a leisurely lunch or tasty evening barbecue in the private barbeque area. 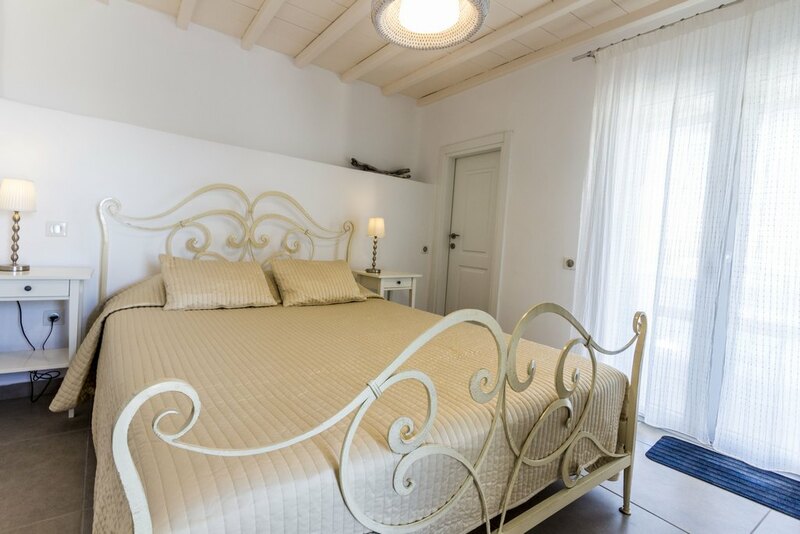 Two air-conditioned, simply furnished bedrooms are brightened by vibrant bedspreads and prints. 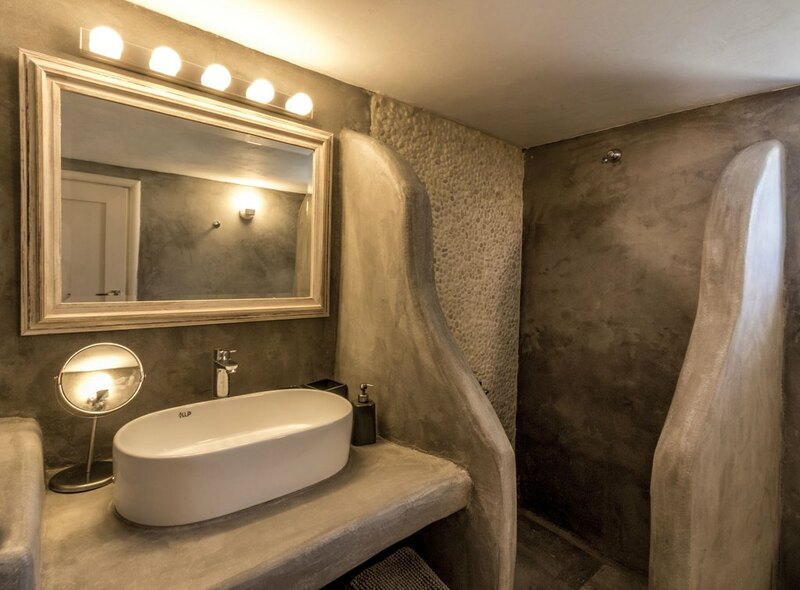 Bedrooms are both en-suite and own their private bathrooms with traditional showers. 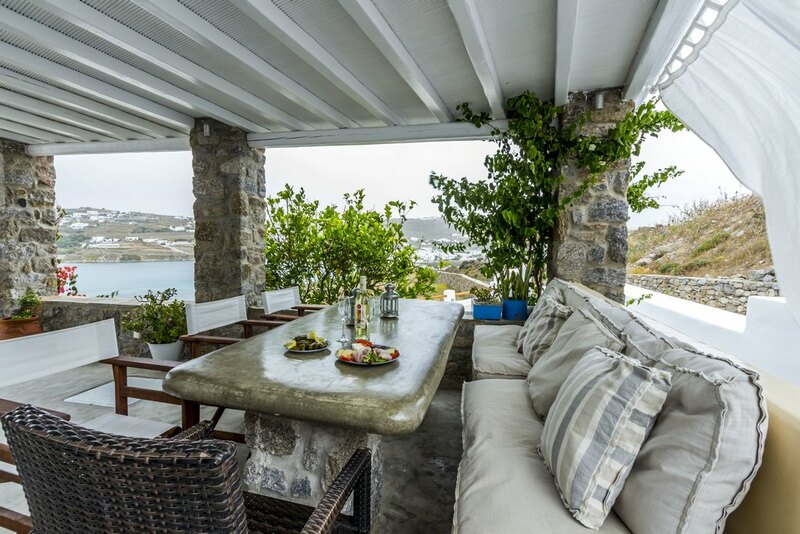 Living room may as well be turned into an extra bedroom as 2 sofa beds may be easily used as comfortable beds, and fit up to 9 people offering you a lifetime experience in the high end island of Mykonos. 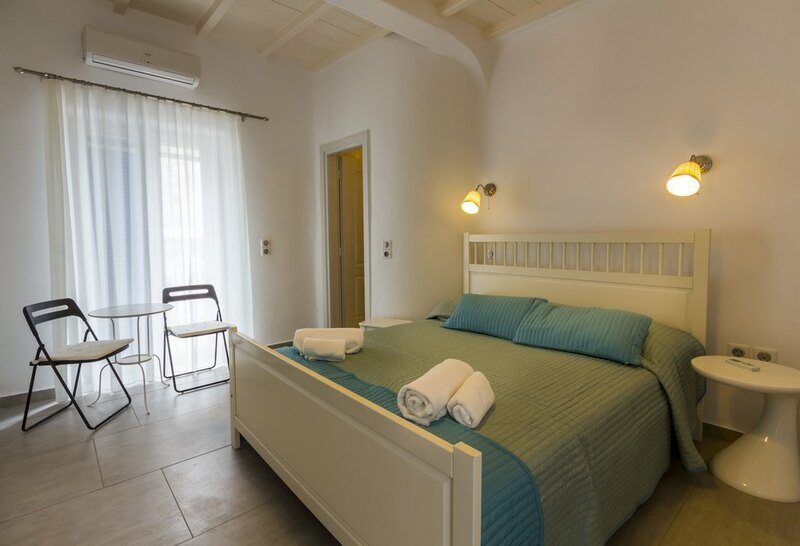 In case you are a larger party of friends, a third fully equipped, more private bedroom with one queen bed, occupies the ground floor with its private entrance, modern bathroom and private, full sea view balcony. 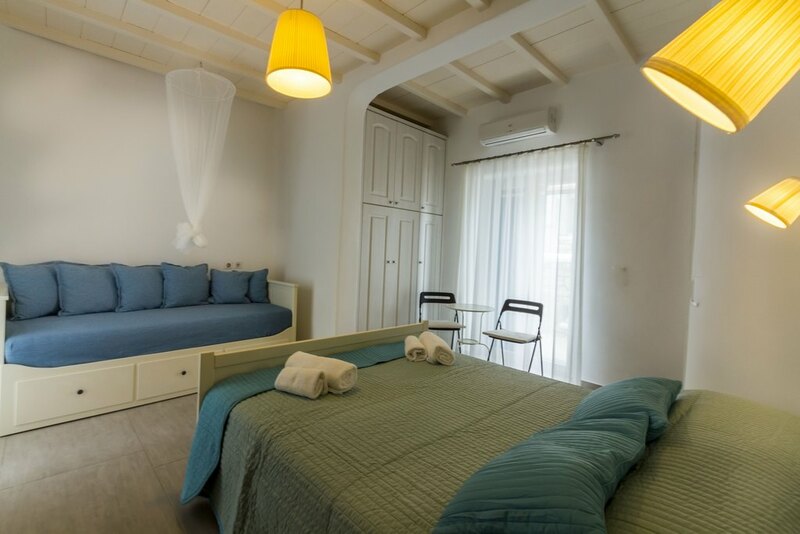 The villa features daily maid service, free wifi, cable TV, free transfers, Greek breakfast basket & VIP welcome Champagne treat. 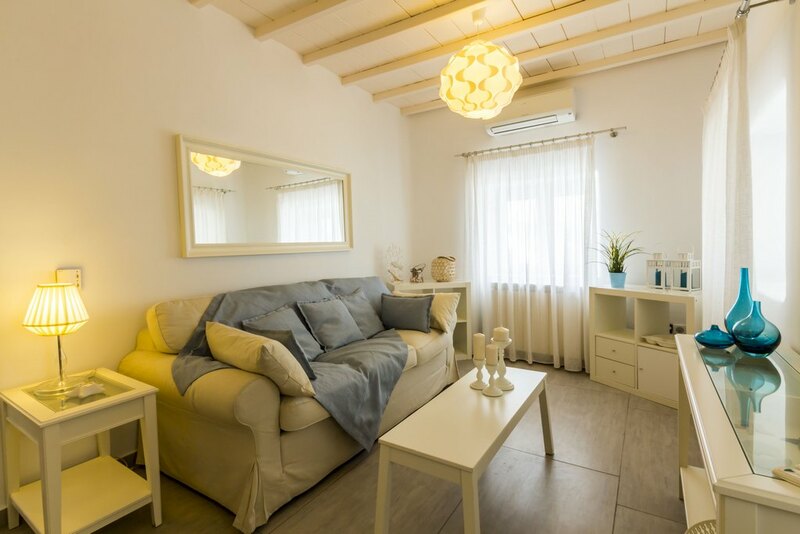 VIP private transfers, leisure cruises, child care, massage treatments and beauty care can all be provided at extra cost, and if you’re tempted to explore the locality you’re within walking distance of the beach, shops and Ornos town. 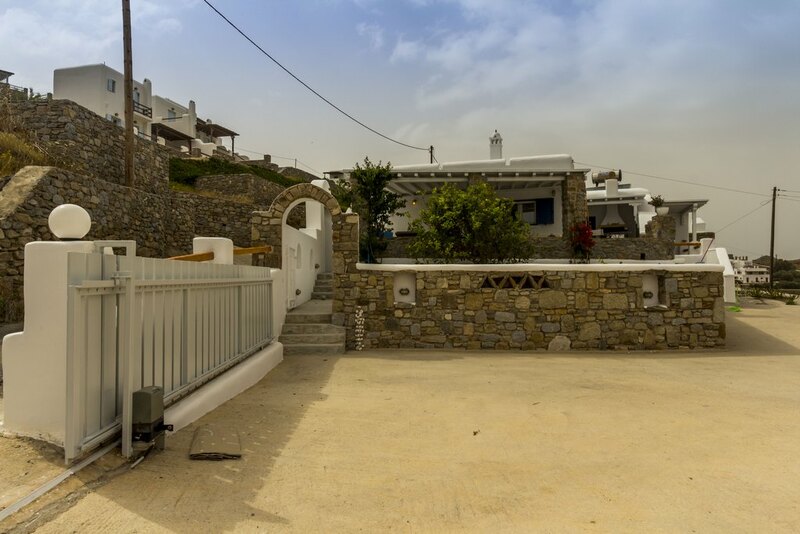 It’s 3km to the airport or Mykonos downtown.